A classic T-shirt in a merino blend, the Solace Short Sleeve Low Crewe is a relaxed-fit top made for everyday wear, all-year-round. 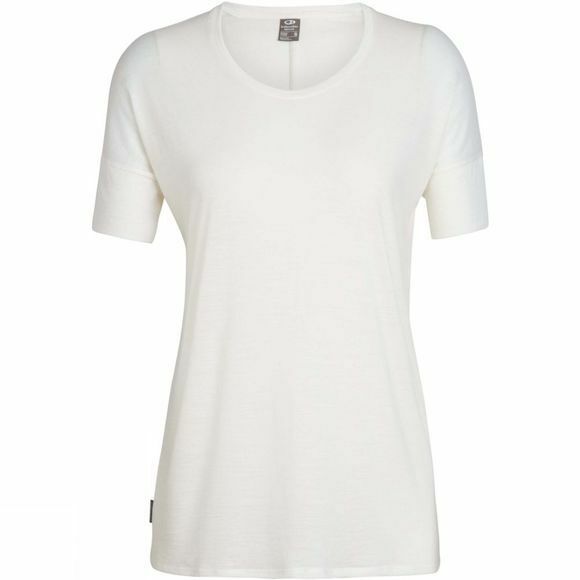 The ultra-lightweight 130gm jersey fabric features Cool-Lite, which is a blend of merino and natural Tencel for comfort in warm-to-hot conditions. The fibers are corespun around nylon for enhanced durability and next-to-skin softness. Designed to look and feel great, whether you're out and about at home or on holiday, it's constructed with forward-set side seams, dolman sleeves for comfort around the shoulders and a center-back seam for a great shape and fit. The longer length is practical for added coverage and the soft, open neck offers versatility and comfort.